Santa Rosa, CA—Think Tank Photo recognizes that lighting stands are heavy, cumbersome and hard to transport. In fact, transporting light stands is as much about protecting the photographer/videographer’s car and fingers as it is moving the equipment. 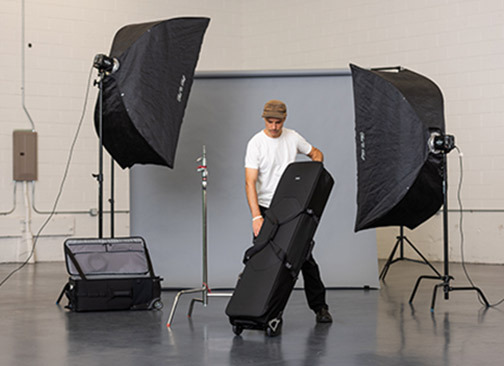 As a result, the company introduced the Stand Manager 52 rolling case as a solution for storing and transporting stands of any kind. The Stand Manager 52 has both internal tiedowns and exterior compression straps to secure stands. 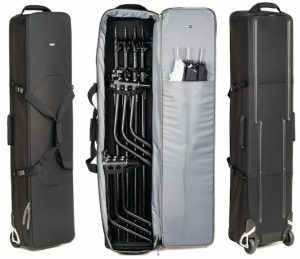 Moreover, with four padded handles, shock-absorbing wheels and rear skid rails, the case is easy to load while transporting to and from location shoots. 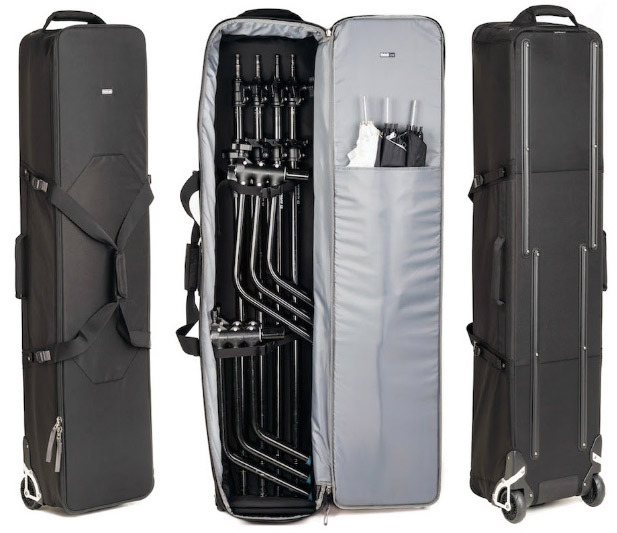 The rolling case boasts crush-resistant ABS twin-wall with end-to-end reinforcement. It also features oversized, shock-absorbing wheels. In addition, it employs high-quality materials, such as #10 YKK RC Fuse zippers and 1680D ballistic nylon. All fabric exterior is treated with DWR, while the fabric underside is coated with PU for water resistance. Moreover, it provides 52 inches of internal height for extra-large modifiers or gel rolls. 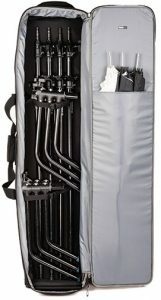 Multiple tie-down straps secure stands on the inside of the bag, which expands and contracts to fit gear. Also, four exterior handles were added to make lifting and loading the case easier. Other features include: a large interior pocket for umbrellas or small modifiers; a roomy interior for sandbags; rear skid rails and tall wheel housings; a reinforced bottom panel; a clam shell opening for unencumbered access; lockable zippers (lock not included); and user replaceable wheels and hardware. 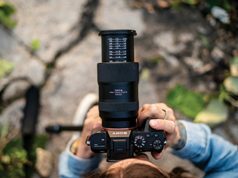 The Stand Manager 52 has exterior dimensions of 12.5x54x4.5–8 inches. Its interior dimensions are 12x52x4–7.5 inches. In addition, weighing just more than 12 pounds, it retails for $279.75.